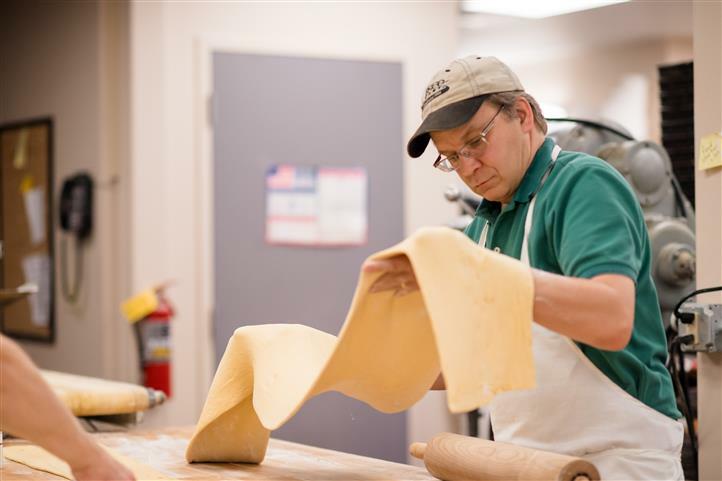 The Narhi family started our bakery in October 2001 in Houghton, Michigan. Originally, the bakery was located at 901 W. Sharon Avenue and was named Sheldon's Bakery. Sheldon Narhi had been baking at several shops and stores in our local area throughout his career and hoped to start his own store. Roy agreed to move back to Houghton from the Minneapolis area to make this possible. It opened in a 2,000 square foot, leased location and became popular with the local residents. 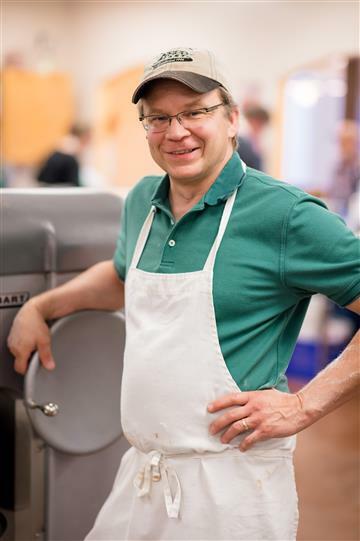 Sheldon Narhi retired in 2005 and Roy Narhi renamed the bakery, "Roy's Pasties and Bakery." It soon became clear that the location was too small for the growing business. The bakery was often sold out of products in the early afternoon and could not meet the demand of its market. To remain profitable, another location would be necessary. Roy Narhi and Trisia Kappler met in 2009 and a new chapter of the business began. Together, they engaged in continued product development, trimming the cost of the goods sold, revamping labor numbers and seeking a new home for the business. We decided to build a new location with the help of Michigan Economic Development Corporation, Keweenaw Economic Development Association, Michigan Small Business Development Center and Superior National Bank and Trust. A wonderful location was found at a dilapidated building on the Houghton Waterfront. With the assistance of the City of Houghton, the new location plans were well under way. We utlilized all local architects, engineers and contractors to complete construction. We belived that if the project was to be successful, it would be due to the support of local residents. During 2012 the blighted structure was torn down and in its place stood a new, two-story, 6.600 square foot facility on the lakeshore. The new building allowed us to progress to rack ovens to increase our capacity for baking off product. We now offer expanded seating, with the capacity for 60 people inside the restaurant and about 50 more on the outdoor patios facing the lake. We also were able to increase our menu offerings with more sandwiches, coffee selections, homemade chips and pastry items. The new facility opened in October of 2013. 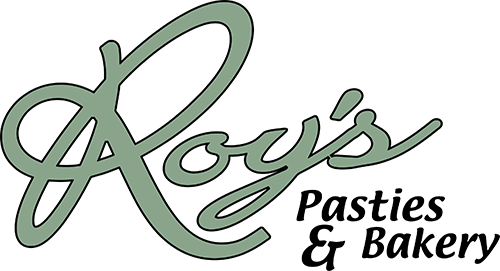 Roy and Trisia Narhi held their wedding reception at the new Roy's location on December 14, 2013 to complete the project both personally and professionally. The new facility is a mixed use building with the bakery occupying the first story and part of the second story with the addition of two residential rental units on the second floor. This project has been a collective effort, with so many people being the driving force behind each step of our move. Our vendors, local agencies, the City of Houghton, the State of Michigan, local banks, and so many others participated along with us to make this project a reality for Roy's Pasties and Bakery, Inc. We are truly blessed to live in such a community in the great State of Michigan!